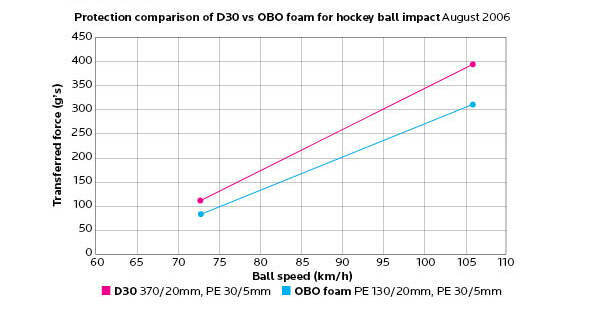 Here at OBO were all about making the best products that are specific to Hockey ie: the impact of a hockey ball. Before now, we really had to test the equipment using an ‘Ouch!’ factor… Now we have quite possibly the most advanced lab in the Southern Hemisphere for testing the impact of hockey balls on different materials, helmets, kickers…and now a Creme Egg! We will be showing some of our test results from our helmets soon on this KR2.0 site very soon so keep your eyes pealed. 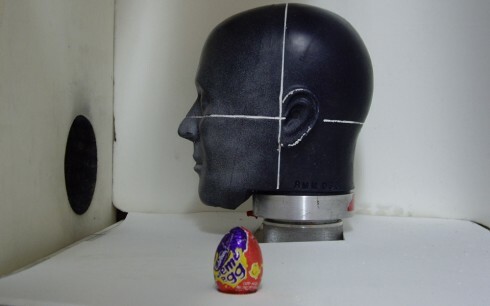 In the mean time we caught a bit of the Easter spirit and thought it would be fun to see what happens when our crash test dummy Noddy tried to eat a Creme Egg. Author knighttimesPosted on April 9, 2009 August 12, 2014 Categories The O LabTags noddy egg test, obo easter egg test5 Comments on The 100kmph Creme Egg!